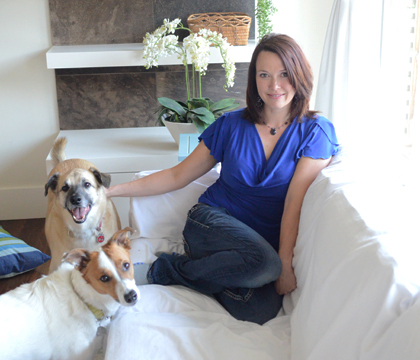 Dr. Wendy McClelland (WCVM ’02), founder and co-owner of Vets To Go. Submitted photo. Making the 2014 W100 ranking of Canada’s Top Female Entrepreneurs—a list put together by the editors of PROFIT and Chatelaine magazines— illustrates that Dr. Wendy McClelland, founder and co-owner of Vets To Go, made a wise career choice. To make that childhood dream become a reality, McClelland (DVM’02) attended various Alberta and BC universities before starting veterinary school at Ross University in St. Kitts. McClelland got the mixed-animal clinic (working on both large and small animals) training and experience she needed before moving back to her hometown of Pincher Creek, Alta., to work at a local clinic. A move to Airdrie, just outside of Calgary, and two children later, McClelland was feeling the pressure of being a parent and full-time vet. Instead of choosing one over the other, she started Vets To Go, a mobile veterinary service that provides in-home animal care. “Our business model is based on quality of life—for our vets, for our clients and for the animals,” explained McClelland. Most services—such as physical examinations, vaccinations, preventive care and end of life care—can be done in the client’s home. A local veterinary clinic is rented on Sundays to perform surgeries. A central booking system and back-end support are competitive edges over other mobile vets that opened the door to growth. Vets To Go now has associates in several Alberta locations and is looking to expand throughout Western Canada and potentially nation-wide. McClelland admits the concept of making house calls is foreign to some of her colleagues. 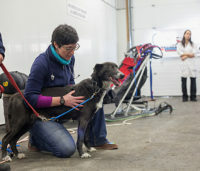 But she said, “A lot of the more progressive vets are happy to work together.” She can refer clients to a clinic for emergency care, food or other pet products. “And they can refer the cats they don’t want to see because they are crazy in the clinic,” she joked. Even though she is among Canada’s top female entrepreneurs, McClelland didn’t always see herself as an entrepreneur at all. Written by Derrick Kunz. Visit U of S Alumni News for more alumni stories.